Taking a vacation is all about relaxation and time away from day-to-day stresses, so why does planning a vacation cause so much anxiety? You spend hours researching on the internet to find the perfect destination and the most luxurious accommodations, but then you still always wonder if you are getting the best deal. There has to be a better way. Sure, you could go through a travel agent, but the commission they make leaves you wondering if you are really getting the best value. Did you know that AAA actually offers traveling services? Before you worry about pricing, the first thing you have to do is find the perfect destination. With the free travel brochures that AAA can send you, you will be able to choose the ideal place for whatever type of vacation you desire. If you are like most people, you will have a lot of questions during the planning process. AAA will answer all of your questions, from what permits you need to drive overseas to how to get a passport. Once you have decided where you want to go, AAA can help you book your entire trip. They have access to exclusive discounts, so you can be sure that you are always getting the best rates. If you are taking a road trip, they can even help you locate the best gas prices along the way. Once you are at your dream destination, you can count on AAA to give you real-life advice and expertise about what to do while you are there. They can tell you what places you don’t want to miss and what things you are better off skipping. AAA understands that life happens. So they also offer travel insurance at great AAA rates to give you the peace of mind you need to truly enjoy your vacation. 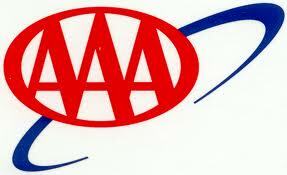 AAA is there from the first steps of your vacation planning all the way until you get home.